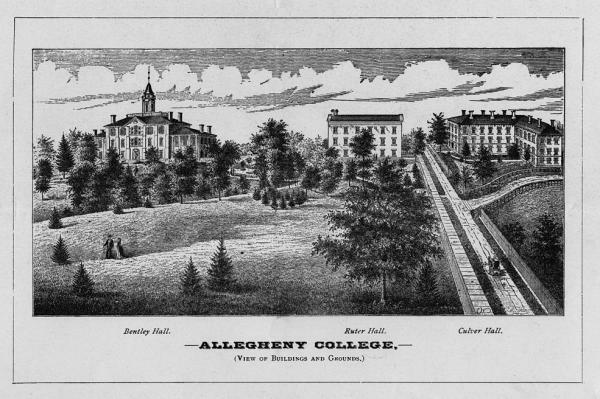 Flip to Allegheny College Gymnasium, Meadville, Crawford County, PA, 1913. 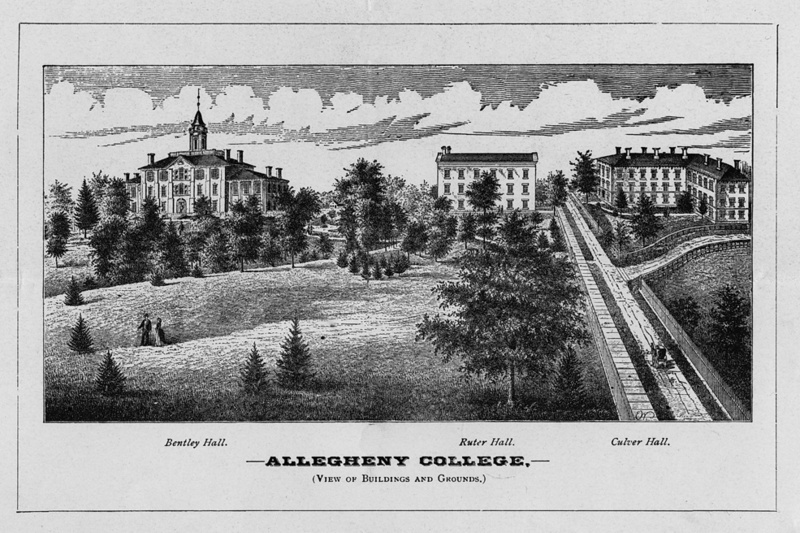 After opening in 1815, Allegheny College was typical of many small elite colleges in remote locations. After two decades of uncertainty, trustees switched affiliation to the Methodist Church in hopes of reaching a wider student clientele.